When it comes to your website, you will want to make it as easy as possible for search engines to not only find your website but to index your web pages as well. One way of encouraging search engines to index your website is to offer an XML Sitemap. In this article, we will be covering what an XML Sitemap is, why you might consider having one, and how to create one. An XML Sitemap is a specialized XML file that contains the URLS of a website to help the search engines more intelligently crawl a site. XML is an acronym for Extensible Markup Language that is a markup language for encoding documents in a machine-readable format. How important is in relation to the other pages of the site. 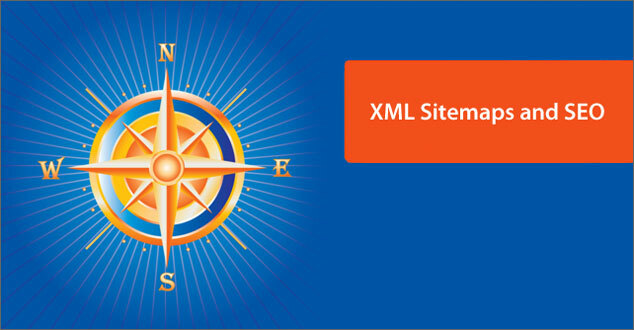 XML Sitemaps are supported by a number of search engines including Google, Yahoo!, and Bing. Sitemaps offer this really simple way for site owners to share information with every search engine about the content they have on their site instead of having to rely solely on crawling algorithms (ie: crawlers, robots) to find it. It is important to note that an XML Sitemap is different from an HTML site map. An HTML sitemap is for human visitors and is a web page with a list of website URLs in a site similar to the table of contents of a book. For an example of an HTML sitemap, please see HTML Sitemap. Why Would You Use an XML Sitemap? XML Sitemaps actually made the list of 36 SEO Myths from Chris Smith, Rand Fishkin, and Eric Enge. Essentially, an XML Sitemap will not boost your Google rankings. An URL will not be given super powers or link juice simply because you have included it in your site’s XML Sitemap. It will help Google – and other search engines – discover the pages in your website. Has a large archive of content pages that are isolated or well not linked to each other. Is new and has few external links to it. Uses rich media content, is shown in Google News, or uses other sitemaps-compatible annotations. In most cases, webmasters will benefit from Sitemap submission, and in no case will you be penalized for it. There are a large number of free services and WordPress plugins to help you create XML Sitemaps. We will briefly cover two different options. XML-Sitemaps.com – This is a free online Sitemap Generator that will allow you to manually create a Sitemap.xml up to 500 web pages. The downside to a manually created sitemap is that you will need to generate a new one each time you add a page to your site. – One of our favorite WordPress plugins for organic SEO is SEO by Yoast. It provides the ability to auto-generate XML Sitemaps. 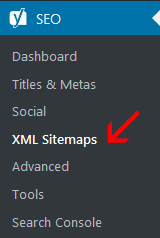 Locate “XML sitemap functionality” and be sure that the button is enabled. To submit your XML Sitemap to Google, you will need a Google Search Console (Google Webmaster Tools) account. Log into your Google Search Console (Google Webmaster Tools) account and select your site. In the left column/sidebar, click “Crawl” and then Sitemaps. Next, click the Add/Test Sitemap button in the top right. Enter the path to your sitemap.xml into the text box that appears. XML Sitemaps are useful to help make sure that the URLs of a website are available for search engines to spider and index. They are like maps to help search engines discover the pages in your website – the ultimate destination. If you are wondering, my husband and I were able to get the GPS – our “map” working properly in English. We made it to the river cruise on time. Do you use XML Sitemaps? If not, will you consider creating one? Please let me know in the comments below. Fascinated with the growing potential and power of the Internet, Robin founded R & R Web Design LLC in the Chicago area in 2000. As creative director, she is passionate about helping others reach their Internet objectives through a strategic online presence with results driven custom web design, ethical SEO, and social media marketing. Robin, you know LOVE Yoast. So I went to the plugin to try to find the place marked “check this box to enable XML sitemap functionality” and I don’t know where it is in the plugin. Is it on each page? Or in the plugin itself? Thanks!! Robin, I too love YOAST!! I wouldn’t even know about it if it weren’t for Norma … small world, isn’t it? Anyway, I’m going to spend some time working on this. As you know, our website is HUGE. This will be an interesting thing for me!! Thanks a gazillion!! I’m glad to hear that you found this helpful! Yes, Yoast SEO is a great tool to help market our websites. Please let me know how it goes. Hi Robin~Thank you for your article. My husband has just set up his site so will pass this along to him. I do have a question however. I have always had a sitemap but have always wondered about the max entries per sitemap. I’m not sure if my site is over 1000 pages but if it was can that be changed? You’re welcome! Great question! Thank you for bringing this up. 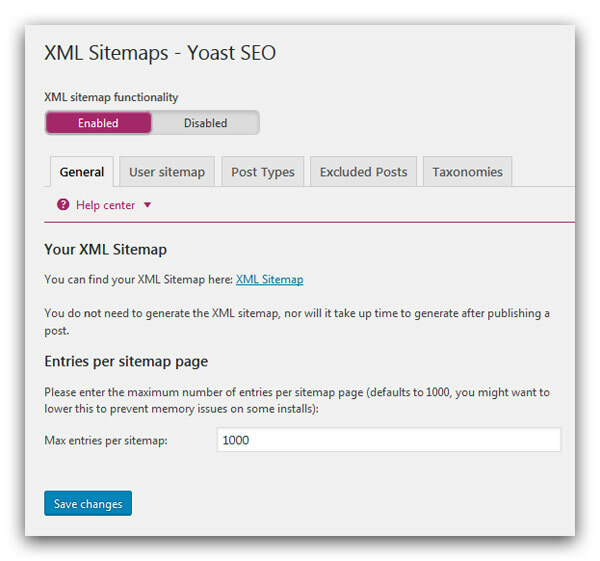 Yoast SEO will automatically split sitemaps that have up 1,000 posts sitemaps into separate sitemaps. You can check your sitemaps by entering your domain name followed by adding “sitemap_index.xml” in the address bar. Each sitemap in the list will tell you how many URLs are in it.